As a youngster, I was obsessed with countries for some reason. Probably because I was (and remain) a massive nerdburger. I could be found reading entries in the encyclopaedias on random countries and memorising flags. People in my hometown still talk about my iconic year 2 project on Lesotho and the high octane year 3 sequel on Sao Tome and Principe (note: no one actually still talks about these projects). I have managed to suppress the nerdiest outlets of this past obsession, but the creation of a new country is something that still intrigues me. Sadly our newest states, such as East Timor and South Sudan, are generally the result of decades of agitation countered by violent repression. 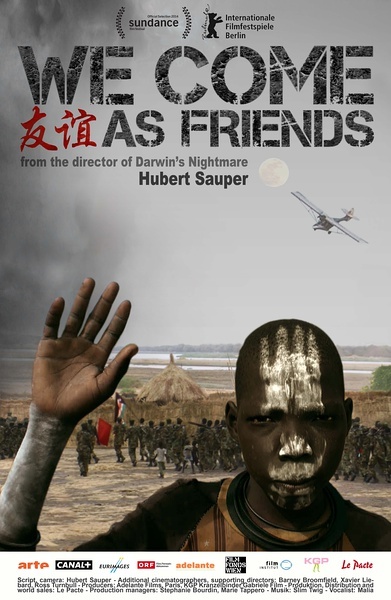 We Come as Friends (2014) looks at the world’s newest country South Sudan and how it came to be. 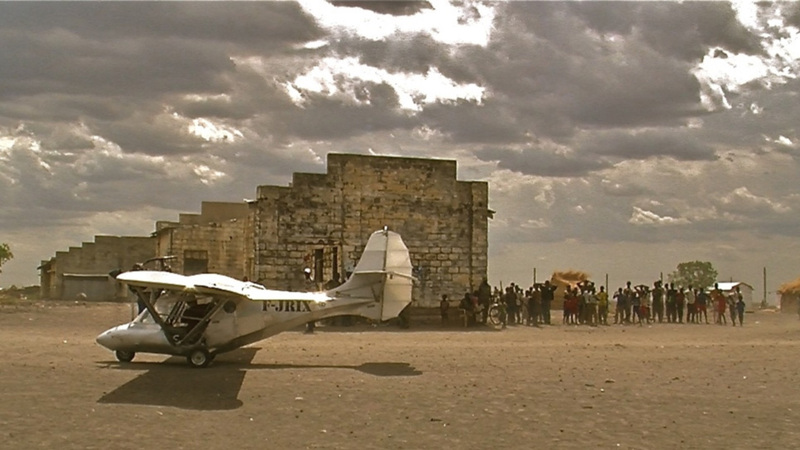 The film opens as director Hubert Sauper gets permission to enter the country in his midget plane that looks like something Werner Herzog would refuse to fly in. Early, the film succinctly establishes the main differences between South Sudan and the North. South Sudan is a Christian nation, generally aligned with America. Sudan is a Muslim nation, aligned with China. Much of the early running in the film is a really interesting look at the lingering effect that colonialism, predominately European, continues to exert on the continent. Also how the essentially arbitrary demarcation of the African continent into nations resulted in the disconnection of people from resources, the splitting of tribes and led to families warring with one another. This Western imposition drove a meaningless wedge between people that was never there before. The need to fight for these meaningless borders or meaningless presidents was only exacerbated by the extreme militarisation that the Europeans also brought with them. It is here when the film is at its best. It does not feel like the film is only interested in this one single ‘thesis’. But it plays with a lot of direction. For some reason though, Sauper expands the film out in a really unstructured way. So it feels like you get lots of little snippets of info, but no broader view. A good example of this is the extended sequences late in the film examining the idiotic American missionaries that reside in Sudan. Sure, the parallel with colonialism is plain to see. But the point of this seems to be to generate some laughs at just how daft these missionaries are (not for their beliefs, but for their horrid cultural insensitivity). That is mildly enjoyable, but does not deserve to take up a 20 minute chunk of the film, which could have been used to further examine the true new colonialism in Sudan – American and Chinese oil interests – or to explain in detail why at the end of the film, South Sudan finds itself marching off to war once again. The end effect is that when the film at times feels it is attempting to make a wider point, such as about corruption, these ideas are never formulated fully. Related beermovie.net articles for you to check out: CIFF 2014: The Congress and CIFF 2014: Particle Fever.